It’s never too soon, or too late, to start training your dog. Here’s what you need to know to get started. Repeating things helps your dog learn what you’re looking for. Rewarding your dog for good behaviour over and over again is the key to a happy, obedient dog. 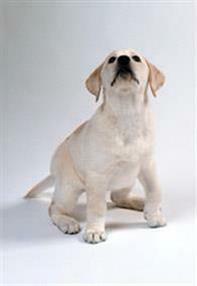 Reinforcing the lesson at regular intervals means your dog won’t forget what they’ve learnt. By rewards, we don’t just mean treats. You can use a combination of treats, verbal praise and stroking. Here are some hints to help you to use rewards. • Reward your dog as soon as they obey so they associate the reward with the right action. • A food reward should be something really tempting – and it won’t work effectively straight after a meal. • Make sure the treat is healthy and that you’re using just enough to keep your dog motivated.